Pat McCluskey in his Celtic playing strip. Sligo Rovers 1969-'70: Back row: Kevin Fallon, Johnny Brookes, David Pugh, Tom Lally, Gerry Mitchell, Pat McCluskey. Front row: Ken Turner, Joe Wilson, Tony Fagan, Johnny Cooke, Dessie Gallagher, Tony Burns. Pat McCluskey, the former Glasgow Celtic and under-23 Scottish international, is featured this week as Michael Moran continues his series of articles to mark Sligo Rovers 75th anniversary. >Pat McCluskey, the former Glasgow Celtic and under-23 Scottish international, is featured this week as Michael Moran continues his series of articles to mark Sligo Rovers 75th anniversary. SLIGO Showgrounds and Italy's San Siro Stadium may be worlds apart at opposite ends of the footballing spectrum, but for former Sligo Rovers favourite, Pat McCluskey, the two are indelibly entwined. One groomed his fledgling career; the other provided his eagerly anticipated, but somewhat unexpected, debut for Scottish giants, Glasgow Celtic. Under the management of the late Jock Stein, Celtic had been involved in one of the greatest upsets north of the border when they lost a League Cup Final 4-1 to unfancied Patrick Thistle before a crowd of 62,740 at Hampden Park on October 23rd, 1971. Celtic ultimately claimed their ninth Scottish title and ambitions of a repeat of their historic 1967 European Cup triumph were high when they reached the semi-final in the New Year. Old rivals, Inter Milan provided the opposition in what was a memorable encounter, both for the Parkhead club and the young 'cub' McCluskey. "Jim Brogan was injured in the first leg in Italy and I had to come off the bench to replace him. I remember it was snowing and obviously it was an incredible place to make my first senior appearance," McCluskey recalled from his home near Glasgow this week. Celtic had played defensively and there were many observers who suggested that they deployed extra personnel in their own half to protect the then seventeen-year-old midfielder. The match ended in a scoreless stalemate and McCluskey kept his place for the second leg at Celtic Park. Predictions that the Italians would sit back and be content to take their chances in a penalty shoot-out proved correct and there was no breakthrough for either side at the end of 120 minutes. Inter's Mazzola cracked home Milan's first spot-kick, just as he had done in the Final in Lisbon five years previously, and when 'Dixie' Deans drove his effort over the crossbar, the dye had been cast and Celtic were on their way out. For McCluskey, it was a bitter disappointment, but he was to go on to play over 200 games for Celtic, helping them lift nine trophies along the way. He earned nine Scottish Under-23 caps and also played for Dumbarton and Airdrie in the Premier League, Pittsburgh Spirit in the United States and Queen of the South. "I was only sixteen at the time and I remember being delighted to get the chance to go to Sligo. I had signed full-time at Celtic and after sweeping the dressing rooms and preparing the gear for the 'Lisbon Lyons', I put the brushes aside and was training five days a week at Celtic Park. "Celtic 'loaned' me out to Sligo and at first I was flying over for the games, but later moved into digs with goalkeeper, Tom Lally. Our landlady was Florrie Gilmartin and I have some tremendous memories of many happy times there," Pat explained. Despite the fact that his stay at the Showgrounds was short, decades later the memories linger of McCluskey as one of the greatest mid-fielders ever to play for Sligo Rovers. In one season, he featured in Rovers heartbreaking F.A.I. Cup Final 'trilogy' against Bohemians in 1970, lined out in a Blaxnit Trophy Final and firmly established a reputation as an exceptional talent. "Crucial to my career and a terrific experience," was how McCluskey described his time with Sligo. "I thoroughly enjoyed it, but of course it was unfortunate that a great team did not win the F.A.I. Cup," he added. A native of the Kilsyth area of Glasgow, McCluskey played for his St. Patrick's secondary school team from the age of fourteen. Celtic scout, Francie Meehan, who had played alongside Sean Fallon, invited him to Parkhead for trials, though he had also spent a month at Manchester City, Arsenal and Chelsea, before the lure of Celtic Park won out. "I always wanted to play for Celtic. My father John had advised me to go to the other clubs as I had agreed I would go to England for trials, but Celtic was always in my heart and that was where I wanted to be," he maintained. 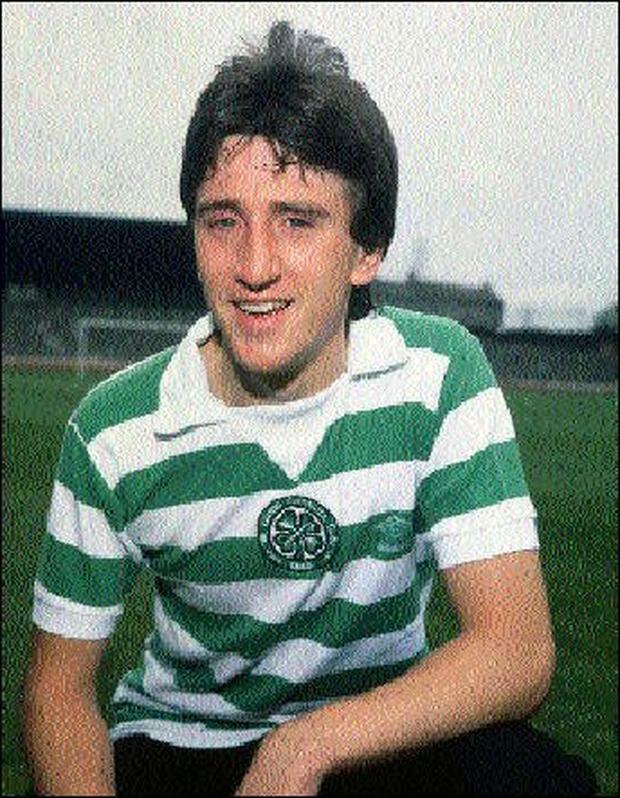 At a time when Glasgow Amateurs were not officially affiliated to Celtic, McCluskey won Youth League and Thompson Cup honours and it was clear from an early stage that he had special skills. Celtic felt that a season in the League of Ireland would help his talent develop and Rovers supporters who had the pleasure of seeing McCluskey in action still talk fondly of his stint here. "Ken Turner was manager and I recall they had been doing reasonably well in the league and were chasing the club's first ever cup win. I spoke with Ken and he asked me would I join Sligo and had no hesitation in doing so. Looking back now, I don't regret it for a minute," he said. McCluskey described the league as "very physical and "very hard", but with some outstanding individual players involved. "The F.A.I. Cup was the big thing in my season at Sligo. We had done okay in the league and had some fine individuals including Kevin Fallon, Tony Stenson, David Pugh, Tony Fagan and Johnny Cooke. "The cup campaign just seemed to take on legs of its own as it went on and I remember the semi-final against Cork Hibernian because they were the favourites tgo perhaps go the whole way and lift the trophy. "We eventually beat them after a replay and felt then that nothing could stop us. We had beaten the best and I certainly didn't fear Bohemians," Pat says. McCluskey thought he was set to become a Cup Final goalscorer in the first instalment at Dalymount Park, as he outlined: "I hit the ball from about twenty-five yards and I honestly felt it was going into the top corner. Bohs 'keeper, Dinny Lowry, brought off an unbelievable save." His father was watching from the stands, as he had done for the semi-final, and McCluskey said he was patently aware of the "buzz of expectancy" which was surrounding Sligo for the decider. "I knew Rovers had never won the cup and we all were aware of what it meant to everyone. It was a big disappointment to lose in the end," he added. The All-Ireland Blaxnit Trophy offered the chance of at least some sort of compensation and a Joey Wilson goal gave Rovers a one-nil victory over Derry City in the semi-final set up a return to Dalymount Park and a joust with Coleraine. "Again it was unfortunate that we didn't get anything because our fans had been superb and had followed us up and down to Dublin so often," Pat said. Meanwhile, Celtic scout and St.Patrick's Athletic manager, John Colraine, had been monitoring McCluskey's progress at the Showgrounds and the reports back to Celtic were complimentary to say the least. "Celtic must have been happy. I went back after the season was over and broke into the first team as a result of getting on against Inter Milan. I played with some fantastic players there, including the likes of McGrain, McNeill, Johnstone, Hay, Lennox, Dalglish and a host of others," he stated. McCluskey shared in many Celtic successes and nine Scottish Under-23 caps were added to his impressive list of medals. However, the chance of a full cap evaporated when he was involved with what became known as the 'Copenhagen Five', the number of players banned for life after incidents following European Championship qualifiers in Denmark. "Billy Bremner, Arthur Graham, Will Young and Joe Harper were also disciplined, but it was all a bit of high spirits really. The Under-23's travelled with the senior squad and without going too much into it, we felt the authorities went a little over the top. There was no chance of an appeal at that stage and it was frustrating," Pat acknowledged. McCluskey, who retired in 1985, is still involved with Celtic, working in the hospitality and corporate sector and is a familiar figure on match days at Parkhead. "I enjoy it and it keeps me in contact with some old friends," he remarked. He returned to Sligo on three occasions for friendly games with Celtic and Dumbarton in the past and says he is determined to pay another visit very soon. The Sligo Leitrim Under 12 footballers will face the defending champions of the Sligo Super Cup, the DDSL, Leeds and Glenavon in this year's tournament. In the Sligo Southern Hotel Super League Manor Rangers played host to Strand Celtic and it was the home side who took the lead through Alan Hickey in the 20th minute.